西洋における「plastique」概念の変遷に関しては、以下を参照のこと。Dominique Chateau,Artsplastiques Archéologie d’une notion,Edition Jacqueline Chambon, Nimes,1999. 瀧ロ修造、同上、59-60頁。Ozenfant&Jeanneret，La Peinture Moderne，Les EditionsCrès&Cie, Paris, 1924. Paul Cezanne(1839-1906), the French artist was criticized and evaluated from the viewpoint of « plastic » in Japan during the 1930s and 1940s. « Forming », which was the presupposition of criticism of shajitsu(realism), a major topic of the time, focused on the relationship between the three elements of the artist, natural objective, and the canvas on which the image gradually formed. In this way, whereas in a sense it was an issue of moving shapes, « plastic » was a critical form that focused on the shape of the completed image and its autonomous order only. Further, this positioned Cezanne as a father of cubism and abstract art in the art history. 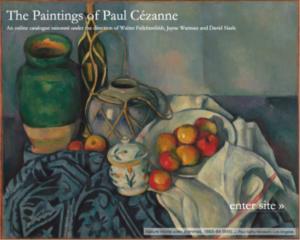 Many critics such as Kotaro Takamura (1883-1956),Uzaburd Toyama (1903-1980),Shigero Narita, and Yukio Yashiro (1890-1975)interpreted Cezanne from the viewpoint of « plastic », but this paper will aim to clarify the intellectual environment of this « plastic » criticism. Therein are two frameworks. First, there is the Western theory of abstract art formed in the 1930sby Herbert Read (1893-1968)and Alfred H Barr Jr.,in which abstract art obtained « citizenship », and these works were introduced to Japan by Saburo Hasegawa (1906-1957)and Shuzo Takiguchi (1903-1979).Thereby, this faction of abstract art theory spread throughout Japan as well. Secondly, there was the passionate advocacy of « aesthetics of machine » in Japan at the same time, which was behind the growth and spread of the theory of abstract art. The theorists who spearheaded this faction were Tomoyoshi Murayama(1901-1977),Takaho Itagaki (1894-1966),and Masakazu Nakai (1900-1952). « Aesthetics of machine » could not explain expressionist abstract art such as that by Wassily Kandinsky, but was advocated as an important aesthetic that could explain not only the geometric abstract art of De Stijl, purism, Russian avant garde, and Bauhaus, but also modern design. The Cezanne criticism of « plastic » fell within these two frameworks, and can be summed up as the nature of acceptance fomented by this view of modern life.